Four Paws Ultimate Touch Pro 2 in 1 Slickers were designed for both dogs and cats that require both a slicker brush and shedding blade for proper grooming and effective dead hair removal. 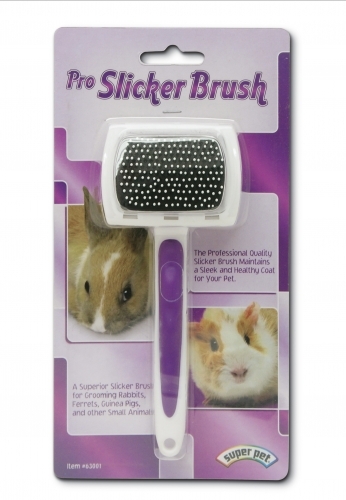 Professional quality grooming brush for especially designed small animals. Adds luster, reduces shedding, prevents hairballs, and builds a bond between owner and pet. Gently removes hair and feels great on pets&#39; skin. 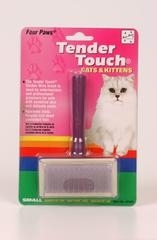 This brush has been designed especially for cats to eliminate all unwanted hair with a tender touch. 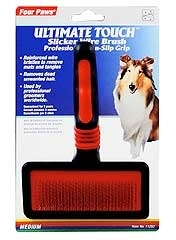 Four Paws Ultimate Touch combo brushes are designed with reinforced wire and nylon bristles. Removes dead unwanted hair along with mats and tangles. 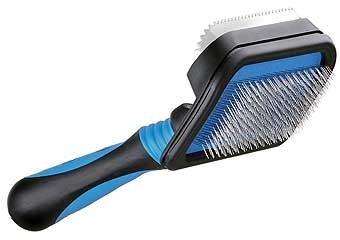 Ultimate Touch slicker wire brushes are made with reinforced wire to remove mats, tangles and dead unwanted hair. Available in 3 sizes.